The moment has come! 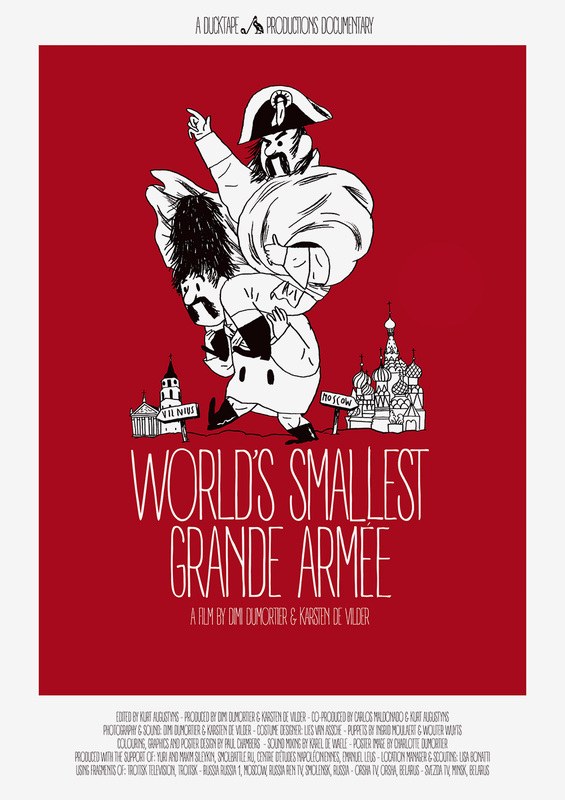 “World’s Smallest Grande Armée” (which I’ve edited*) will be released to the public. To make it even more interesting, the soundtrack will be played live by Kutuzov’s Cat. Two guys, obsessed by history, undertake the voyage of their life: on foot from Moscow to Vilnius. They intend to follow the trace of Napoleon, more specifically of the soldiers of the Grande Armée, an international hodgepodge that conquered Moscow in 1812 just before their French leader led them into a tragic defeat against Russia. Dimi and Karsten walk a thousand kilometers along places long forgotten by Western Europeans, towns and former battlefields with names that once were synonym for military hardship, for cold and disaster, for the rawest denial of human dignity. Four million footsteps and the beginning of a winter on unknown soil separate our self-proclaimed two-man-army from its goal. All they have is a pair of good legs, a tent and a little guitar. Oh yeah, and a pastiche uniform of a French grenadier! So bring on the vodka! Light the campfire! Prepare yourselves for the sweet adventures and the unlikely encounters of two recreational historians with a good morale and a sack of songs, two fellows in search of one of the darkest pages in modern history. For this is… Napoleon’s horror march revisited! *from what appeared to be rushes that were as long as Napoleon journey itself!